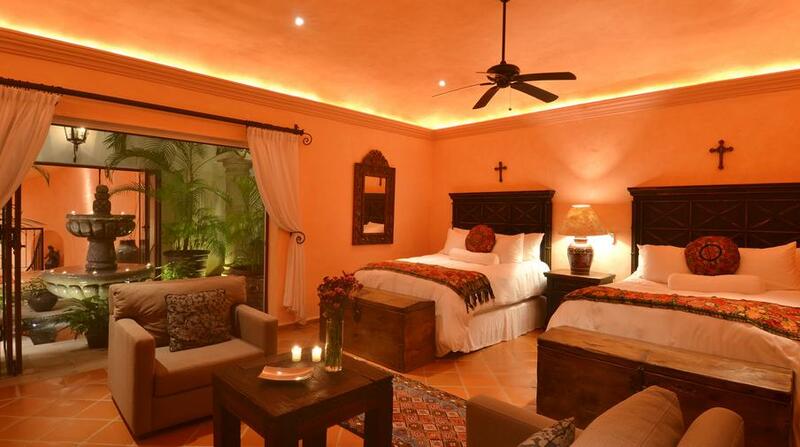 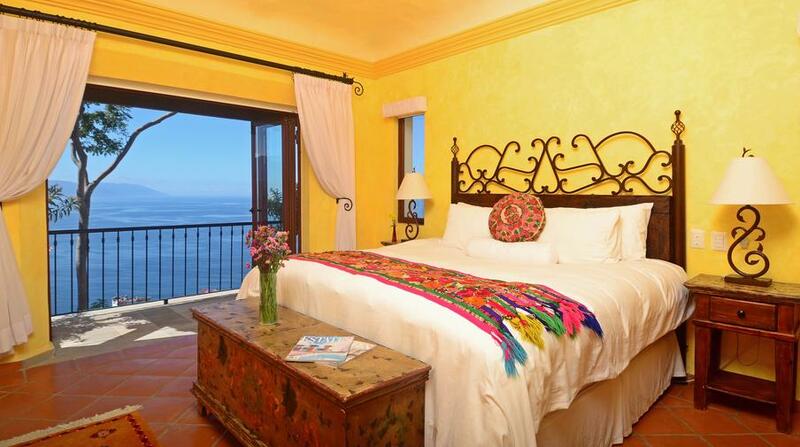 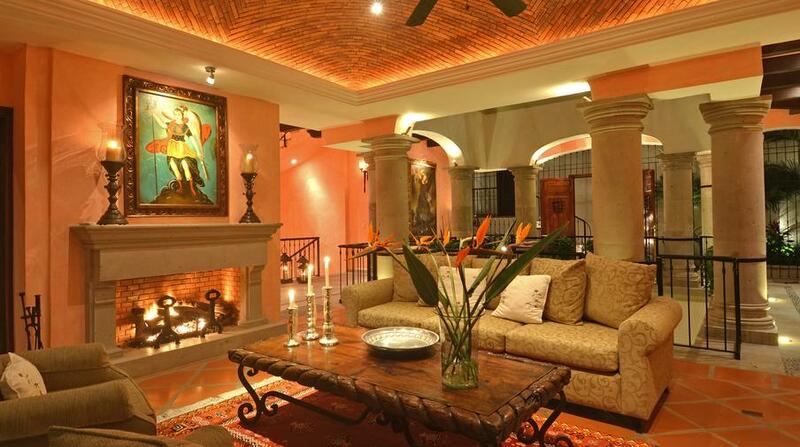 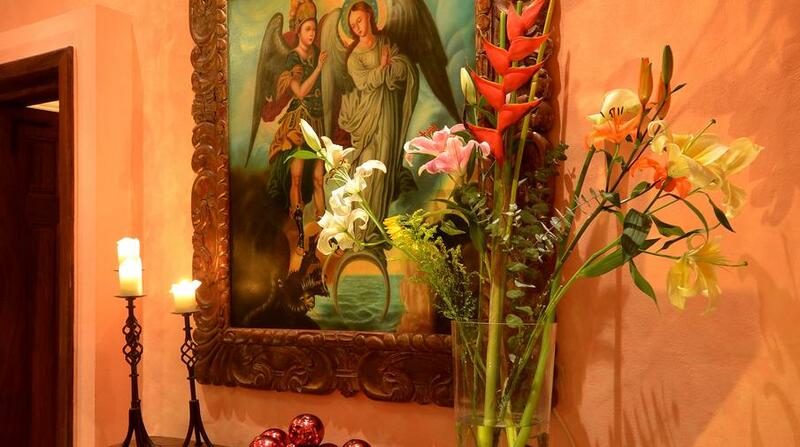 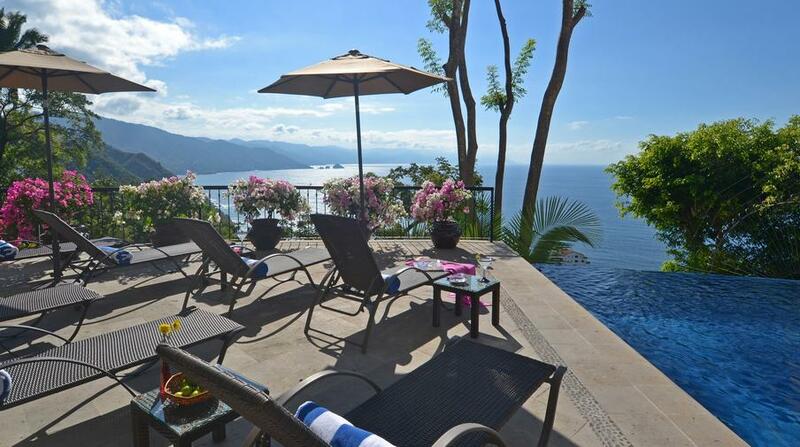 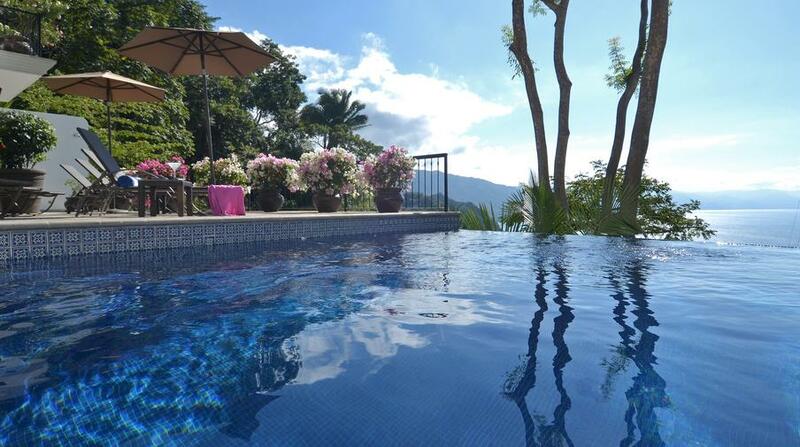 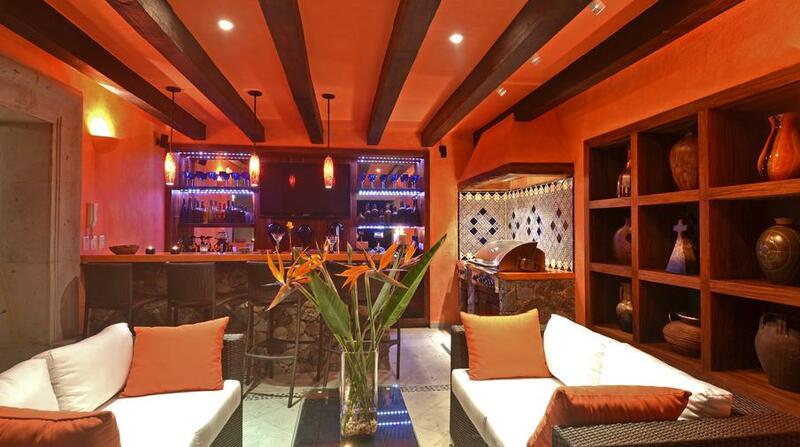 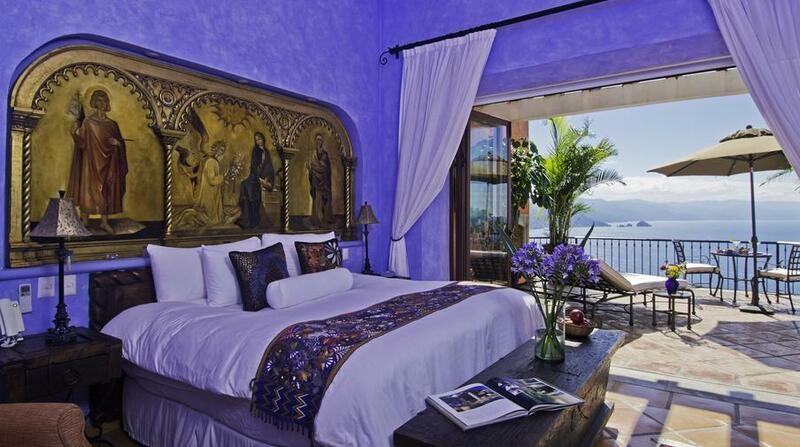 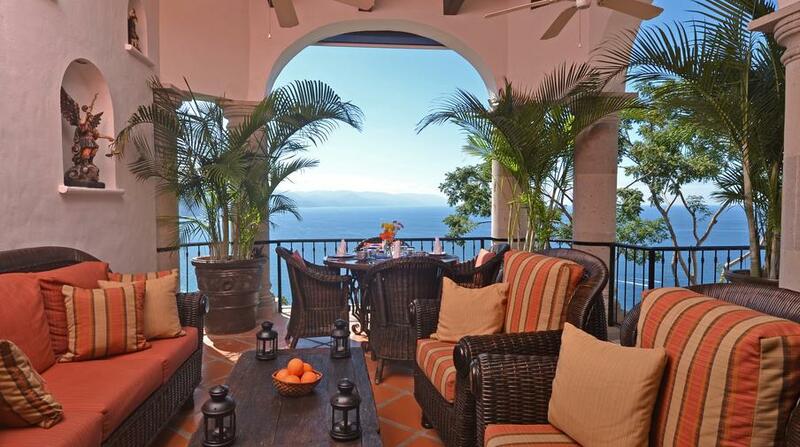 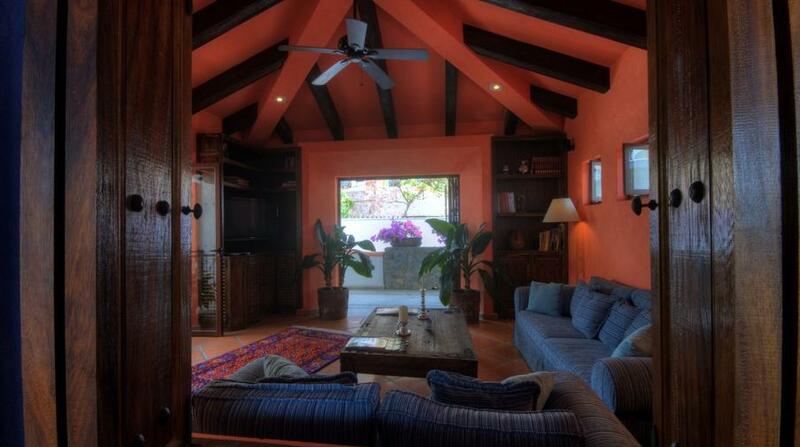 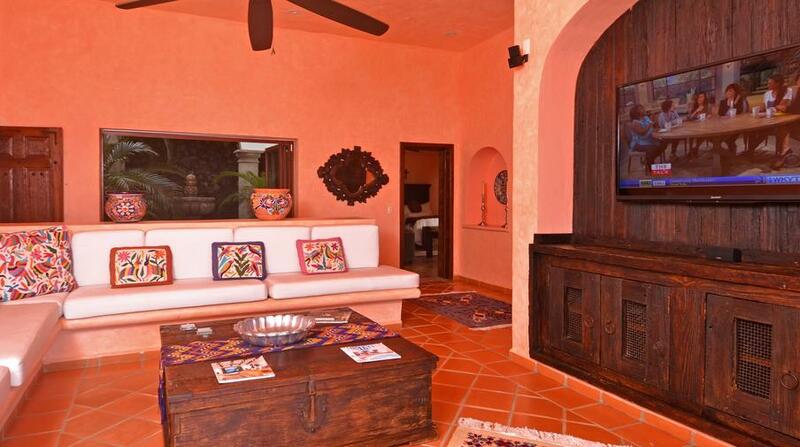 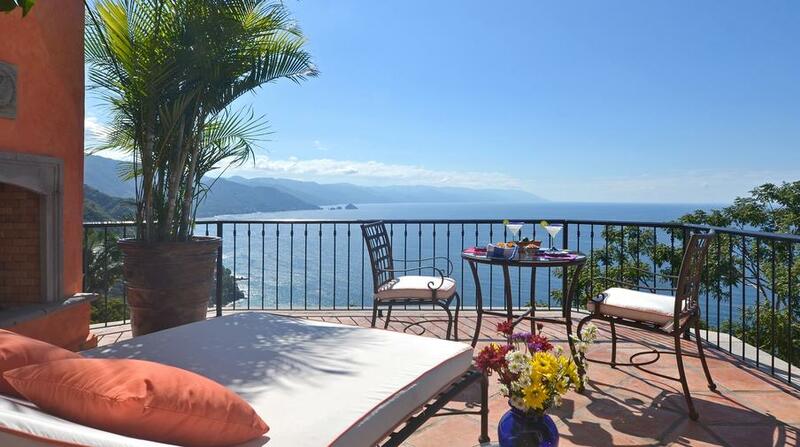 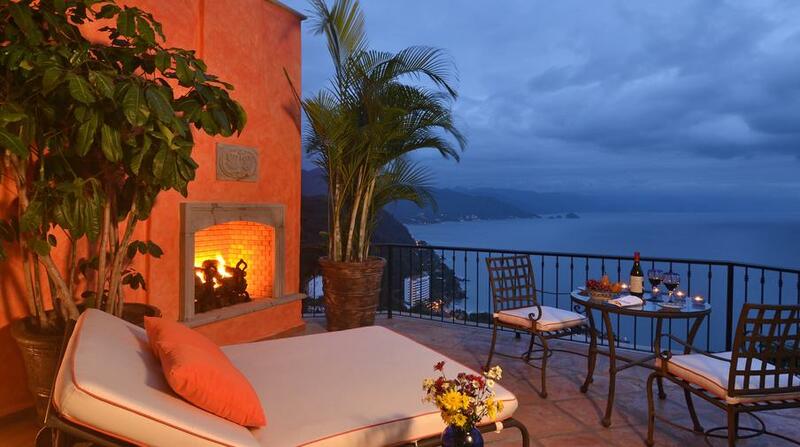 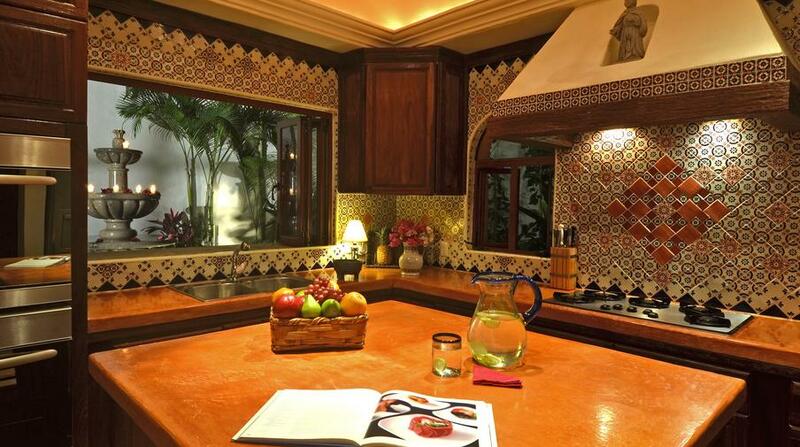 A luxury five bedroom Mexican colonial-style home located high in the hills of the Sierra Madre mountain chain. 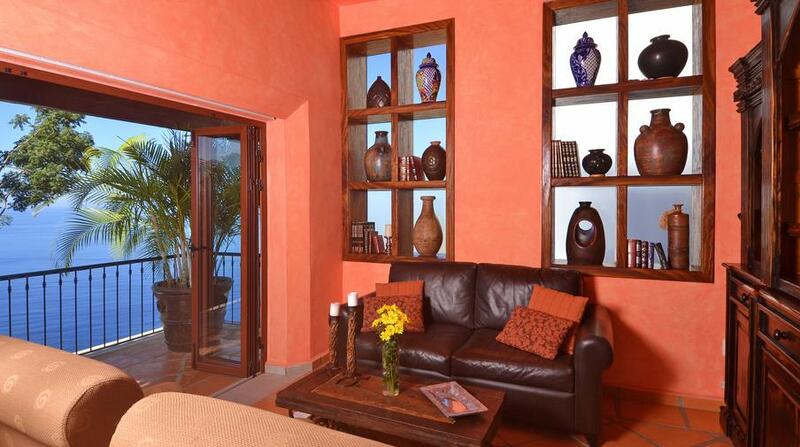 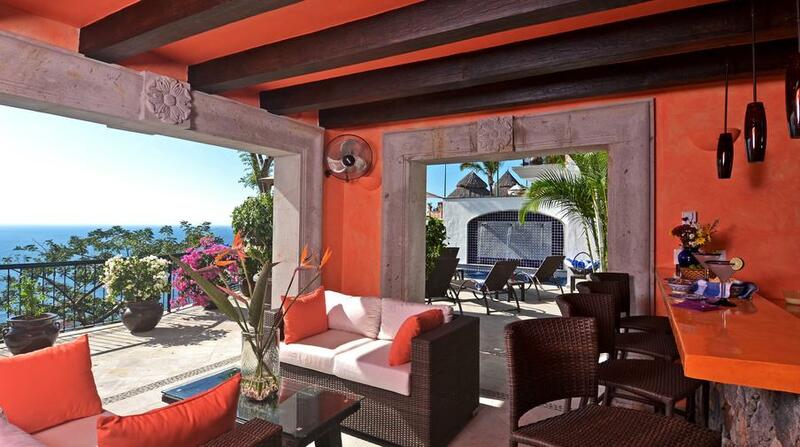 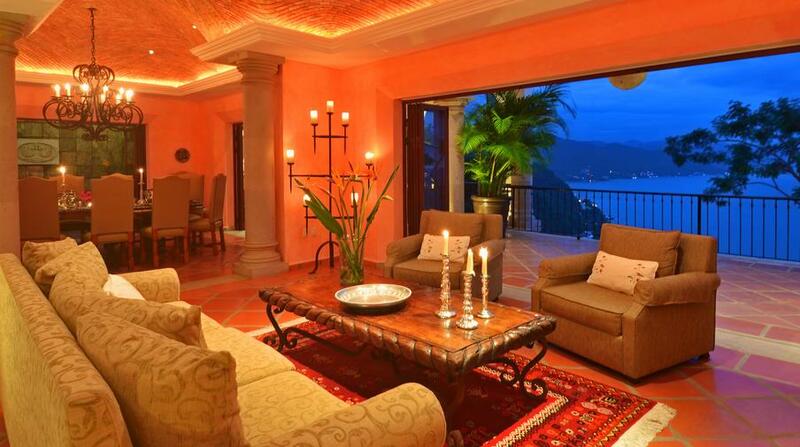 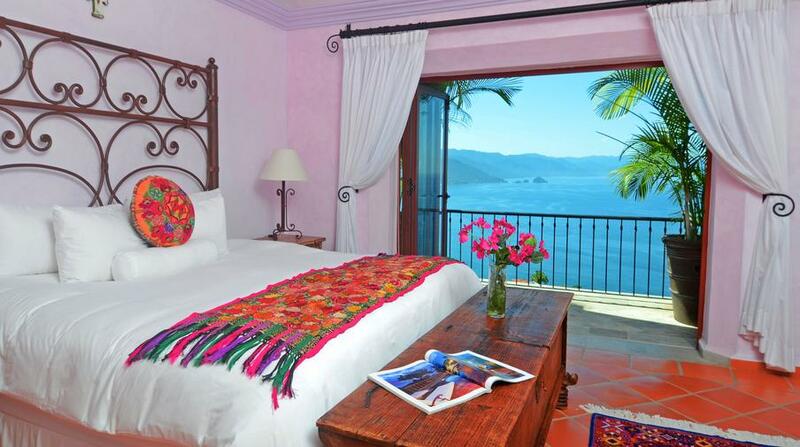 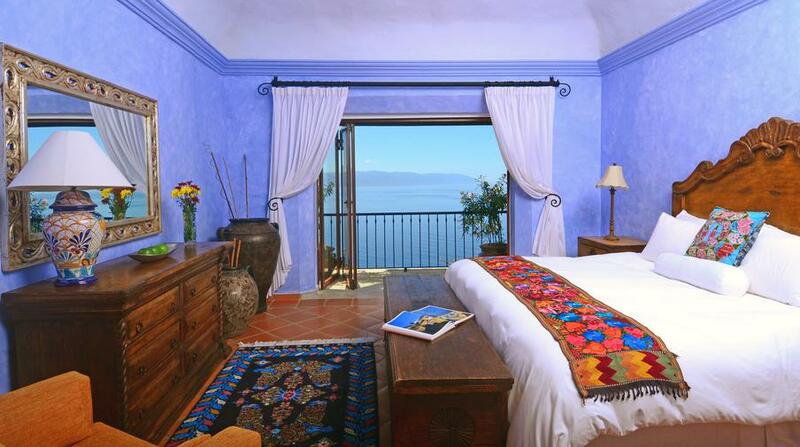 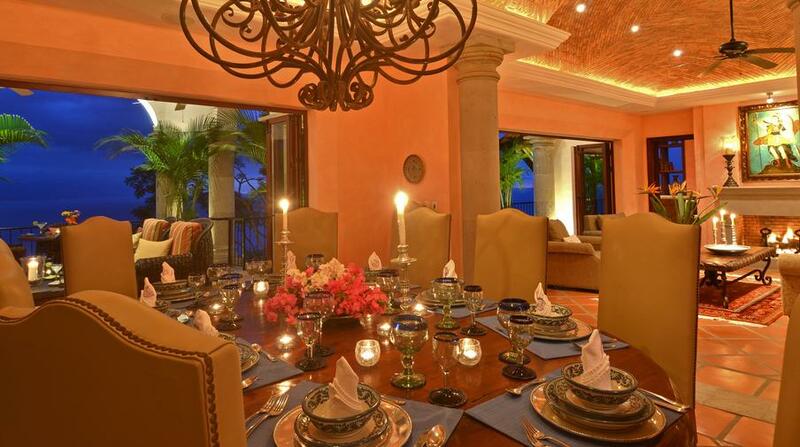 This villa will satisty the needs of even the most discerning traveler. 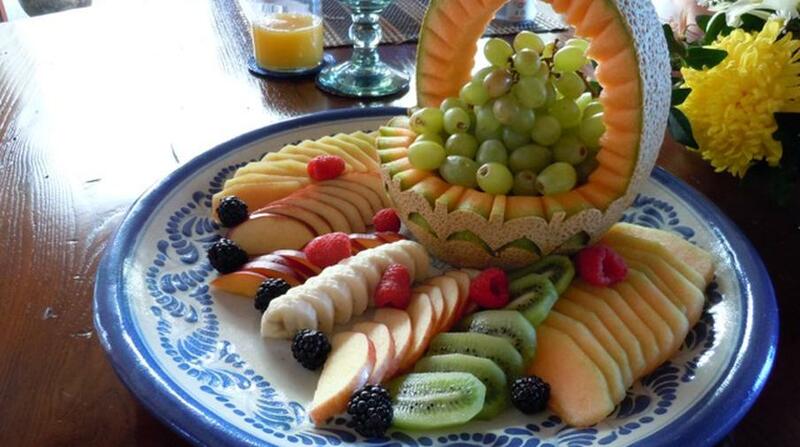 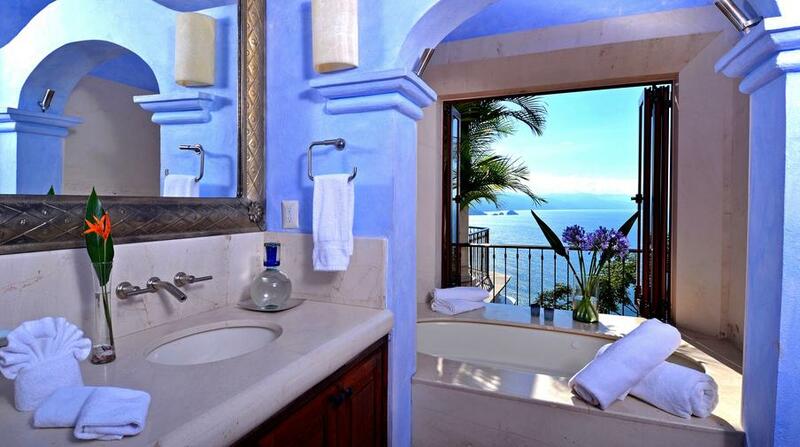 Puerto Vallarta is a Mexican paradise that lies along Banderas Bay, the second largest bay in the Western Hemisphere. 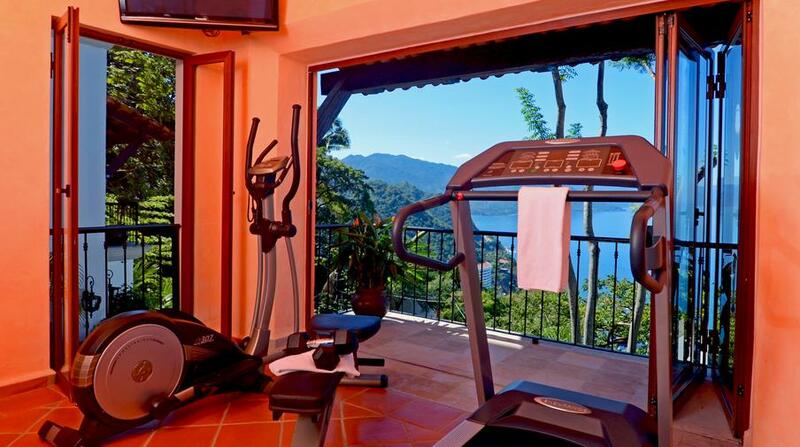 Located on the same latitude as Hawaii, it is located 219 miles from Guadalajara, the state capital of Jalisco, and it is nestled in the foothills of the Sierra Madre mountain range. 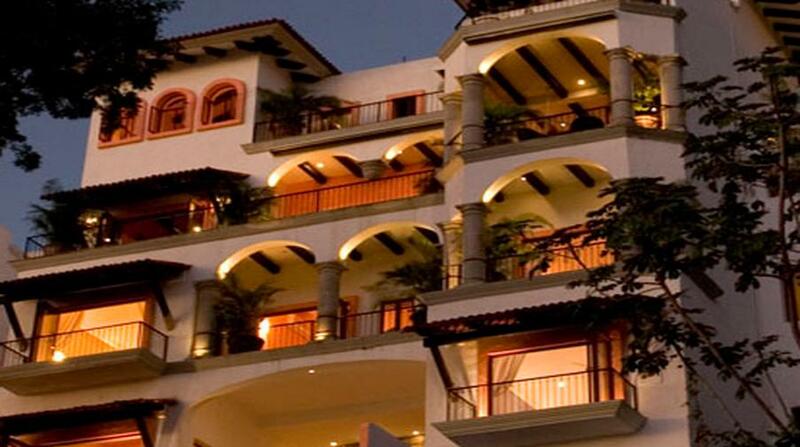 The downtown area has preserved a taste of old Mexico with its cobblestone streets, cathedrals, and quaint white-washed houses with red terra cotta tiled roofs and the surrounding region has many forests, rivers and waterfalls, and an average temperature of 80°F. 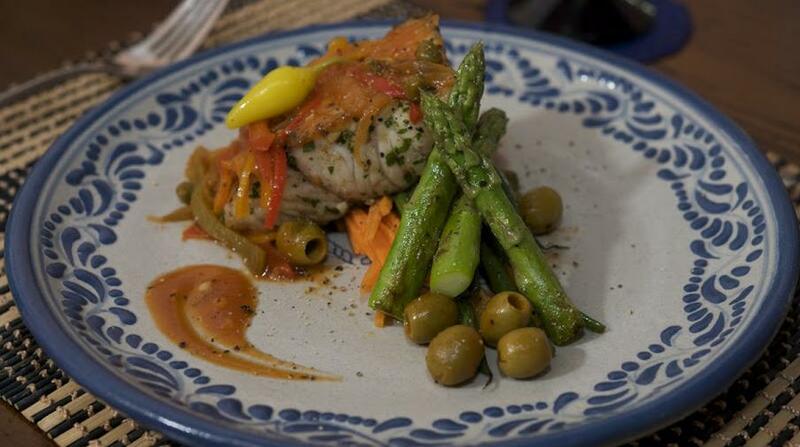 *Rates include preparation of two meals per day except for Sunday. 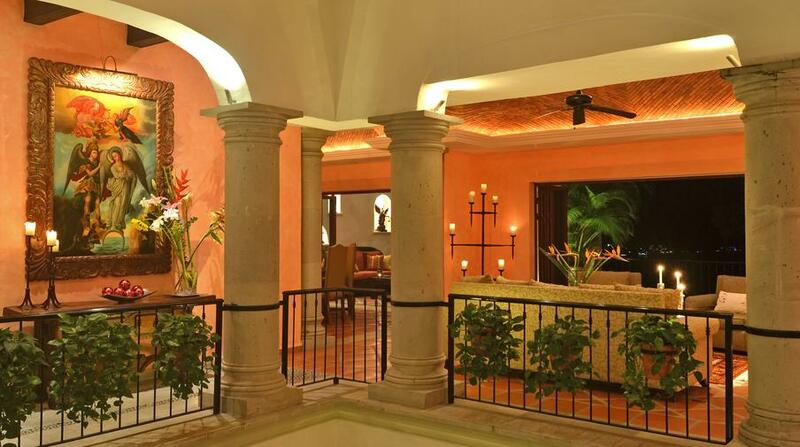 *Rates do not include cost of food or beverages, nor taxi fare when staff needs to make shopping trips.